Great hostel with brilliant location. Staff were really friendly and the rooms were kept clean! Would definitely recommend. Nice hostel in the centre of el nido... awesome staff, and good free breakfast! 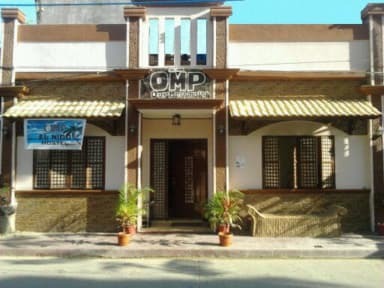 Perfect location, walking distance to all restaurants, bars, clubs and beach. Modest free breakfast. Room was big, so there's enough space for everyone's backpacks, and clean. Bathrooms are not enough for all the people that are there and they get dirty quickly. All in all I would recommend it. Meet many cool people on the rooftop and in the dining room, so there are many communal areas. Enjoy El Nido! 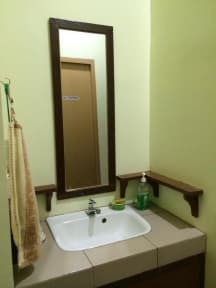 The hostel is really close to anything you'll need in El Nido. Dorms are not that big but they're clean. The breakfast is really good and there are hot showers. The wifi though was really bad most of the time.